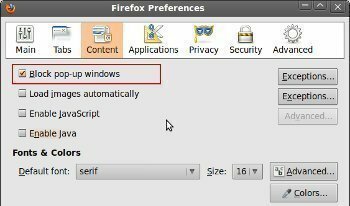 A Firefox Toolbar can be any toolbar within Mozilla Firefox, whether it is a default toolbar provided by Firefox or an add-on provided by third-party extensions. Firefox currently has five default toolbars that can be turned on and off at any time: the Menu Bar, the Tab Strip, the Navigation Toolbar, the Bookmarks Toolbar, and the Add-On Bar. The Menu bar displays the basic menus that are available from almost all browsers and user interfaces, such as File, Open, Edit, Help, etc. The Tab Strip displays the tabs that the user currently has open. The Navigation Toolbar displays fields and options for the user pertaining to web accessibility, such as the URL bar, the Search bar, the home button, and the Bookmarks button. The Bookmarks Toolbar is an extension of the Bookmarks button and displays the user’s most favorite or most frequently used bookmarks. The Add-On Bar displays options for controlling the user’s add-ons, although it doesn’t show the user’s individual add-ons themselves. In addition to the aforementioned toolbars that are provided by Mozilla Firefox, users may install additional toolbars that are provided by other companies or Add-Ons. For example, the Google Toolbar is a toolbar that can be installed on any web browser and displays a Google Search field as well as localized weather, news, and stock information that the user has customized via his/her Google account or from the Toolbar itself. Toolbars like these can be installed on Mozilla Firefox by visiting that company’s website and clicking on its “Install” button for the toolbar. Additionally, users may find toolbars on the Add-Ons page, which can be installed like any other Add-On and managed via the Add-Ons window or the Toolbars menu. I want my fire fox tool bar back. I love fire fox but for some reason if I down load something it changes my tool bar. I have to keep going back to reinstall fire fox. I don’t WANT any other tool bar but fire fox. I download and they ask if I want to install their tool bar and I always say NO. But some how it still installs. I want my fire fox back. Why offer the Google toolbar, if it is not compatible? That is a waste of both your and other people’s time!! 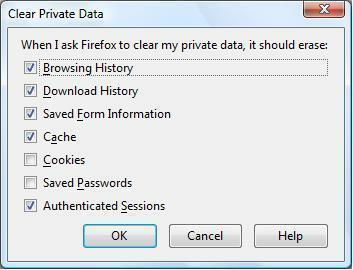 I am having problems with firefox too. You have to downgrade to firefox4. Then you can download google toolbar again. All my yahoo tool bar icons from Firefox have disappeared today! Also refuses to refresh; Ihad had them for more than 3mts now. & Yahoo search will also not function but is on my panel. I’m also having the problem. hours to a day then disappears. I finally gave up and deleted it. 109 queries in 0.232 seconds.